The culture of ancient China was divinely inspired. Shen Yun invites you to travel back to the magical world of ancient China. Experience a lost culture through the incredible art of classical Chinese dance, and see legends come to life. Shen Yun makes this possible by pushing the boundaries of the performing arts, with a unique blend of stunning costuming, high-tech backdrops, and an orchestra like no other. Be prepared for a theatrical experience that will take your breath away! The traditional Chinese culture Shen Yun presents cannot be seen anywhere else in the world—not even in China. There, the ruling communist regime has viewed China’s rich spiritual and artistic heritage as a threat to its ideology and for decades tried to erase it. But in 2006, a group of Chinese artists came together in New York with a vision: to revive the best of China’s cultural heritage and share it with the world. They drew courage and inspiration from their practice of Falun Dafa—a spiritual discipline based on the principles of truthfulness, compassion, and tolerance. The company’s repertoire includes important works shedding light on the plight of people like them in communist China today. After a decade of performing around the world to sold-out audiences everywhere, Shen Yun has brought a great civilization back from the brink of extinction. Shen Yun is now the world’s premier classical Chinese dance company. Some people fly from other countries or drive hundreds of miles to see it. Others see the same performance five or six times. Why? Many say there are no words to describe it—you have to see it with your own eyes to find out. Join us for the experience of a lifetime. Exquisitely beautiful. An extraordinary experience for us and the children. Shen Yun demonstrates the highest realm in art and inspires the performing arts world. There is a massive power in this that can embrace the world. It brings great hope... It is truly a touch of heaven. Exciting to watch and really inspirational! I just feel blessed. I come away with feeling like a better human being for having experienced this magnificent event. It speaks not only to my intellect but to my heart. Enormously uplifting. The diversity and the quality of the performance was really first class. The most extraordinary cultural show I’ve ever seen... It transported me back in time. Really out of this world! There is no word to describe it... If I had to, the words might be ‘divine,’ ‘reborn’ and ‘hope’. It was just brilliant, it was a brilliant production. I tell everyone, ‘You’ve got to see this.’ There’s nothing like it that I’ve ever seen. Beautiful... A nimble mastery of traditional talents. A tantalizing and fascinating evening that made me want to stay and see more. An explosion of color and sound... Chinese culture in its fullest flower. Entertainment of the highest order... An exemplary display of excellence. SHEN YUN HAS only been around for a decade, but these days, wherever it goes theaters are packed. Some people fly from other countries or drive hundreds of miles to see it. Others see the same show six times. Why? Many say there are no words to describe it—you have to see it with your own eyes. Experience the divine culture’s return. Performances start right on time. Please plan to arrive well in advance in case of traffic or other unexpected delays. The performance is one whole experience —you won’t want to miss any part of it! Note regarding theatrical effects: This event employs CGI special effects, atmospheric effects, and sound effects, and is a visually, aurally, and emotionally immersive experience. Loud cheering or whistling can be distracting to both performers and other audience members, but applause is always appreciated. Dress code? Business attire or evening wear, please. Anyone causing disturbances or obstruction may be asked to leave. Please respect the right of others to enjoy the performance. WARNING: Do not buy tickets from online scalpers or websites not linked to from this page. Those tickets are likely invalid or significantly marked up. Children under 4 are not admitted. 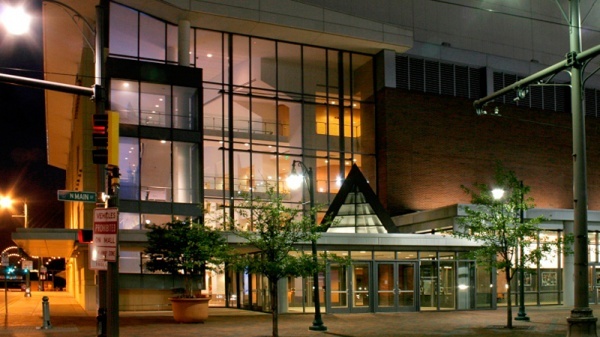 The world-class Cannon Center for the Performing Arts officially opened to rave reviews in January 2003. 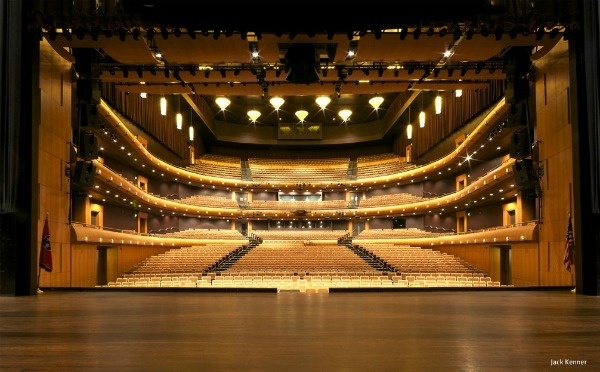 The 2,100-seat multi-purpose facility is the home of the Memphis Symphony Orchestra and hosts a multitude of other events including ballet, opera, pop and jazz concerts, touring theatrical productions, children's theater and general sessions for conventions in the Memphis Cook Convention Center. Travel east on I-240 (Nashville) to I-40 West (to Little Rock). Take the Second Street exit toward Third Street. Make a slight left onto north Second Street. Make a right on Poplar Avenue. The Cannon Center for the Performing Arts is located on the corner of Front and Main Street off Poplar Avenue. Travel west on Poplar Avenue to Front Street. The Cannon Center is located on the corner of Front and Main Street off Poplar Avenue. 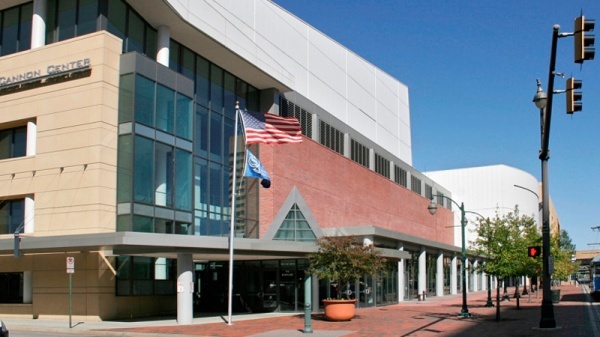 Parking with direct access to the Cannon Center is available at the Memphis Cook Convention Center underground garage on Front Street for a $10 fee. The Mud Island Parking Garage at Front & Main Street and the Allright parking lots at Second and Exchange are available for a fee.